Danye Jones, 24, was found hanging by a bed sheet from a tree behind the family home on Oct. 17. He is the son of prominent Ferguson activist Melissa McKinnies. ST. LOUIS — A Ferguson protester has said she believes her son was killed in retaliation for her activism, even as police investigate the man's death as a suicide. Relatives found 24-year-old Danye Jones hanging by a bed sheet from a tree behind the family home on Oct. 17. St. Louis County police spokesman Shawn McGuire said Thursday that there were no signs of struggle or trauma to the body. "Detectives, based on all the physical evidence and the current thorough investigation, they are investigating it as a suicide," McGuire said in an email. Jones' mother, Melissa McKinnies, disagrees. Soon after his death she posted photos on Facebook of her deceased son, with the words: "They lynched my baby." Facebook took down the posting, but not before it began trending on social media sites such as Twitter and Reddit. McKinnies was active in the months of protests that helped spark the Black Lives Matter movement following the fatal shooting of black Ferguson teenager Michael Brown by a white police officer in August 2014. Officer Darren Wilson resigned and was never charged in the shooting. McKinnies told the St. Louis Post-Dispatch that her son was upbeat before his death, not suicidal. She said he didn't know how to tie the knots used in the ligature, and the sheet didn't match sheets from the family home. Jones had packed an overnight bag found on the patio, suggesting that he trusted and had planned to leave the house with the person who killed him, McKinnies said. McKinnies and other activists are urging police to take a harder look at the possibility that Jones was killed. The St. Louis County medical examiner's determination of the cause of death could take several weeks. Administrator Suzanne McCune said the office doesn't issue preliminary findings. Darryl Gray, a prominent St. Louis activist and a friend of McKinnies, said Ferguson activists are often harassed and threatened via text and social media. Gray said he found a package inside his car earlier this year. Bomb squad investigators determined it wasn't an explosive — the package contained a 6-foot-long snake. 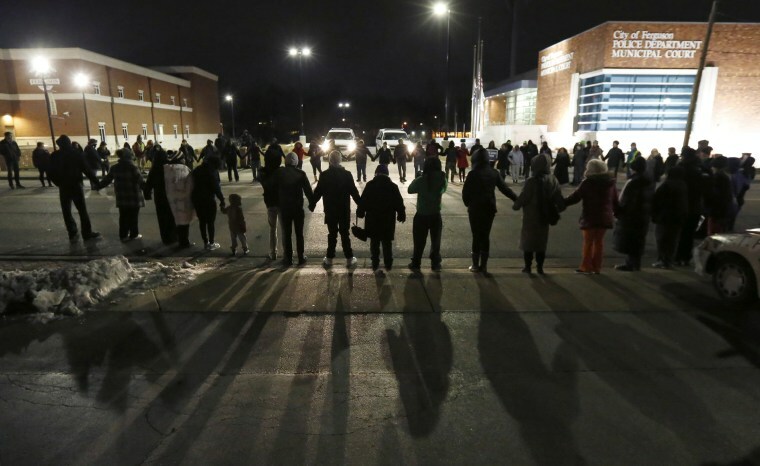 Police continue to investigate the deaths of two prominent Ferguson protesters, both of whom were found killed inside torched vehicles — DeAndre Joshua in November 2014 and Darren Seals in September 2016.